Supplementary material reads: "Chernus. Long Beach. three negs. show , L-R: Secretary of Agriculture Ezra Taft Benson getting 'wool flower' pinned on lapel of Kathryn Gromatzky, 20, 'Miss Wool' of Texas before press conference. One neg. 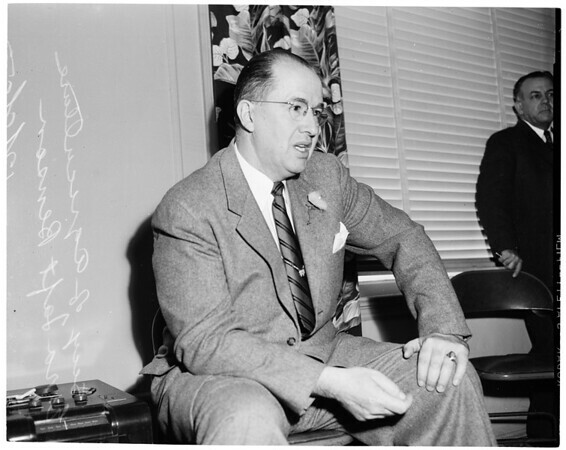 shows Secretary of Agriculture Ezra Taft Benson speaking to press."